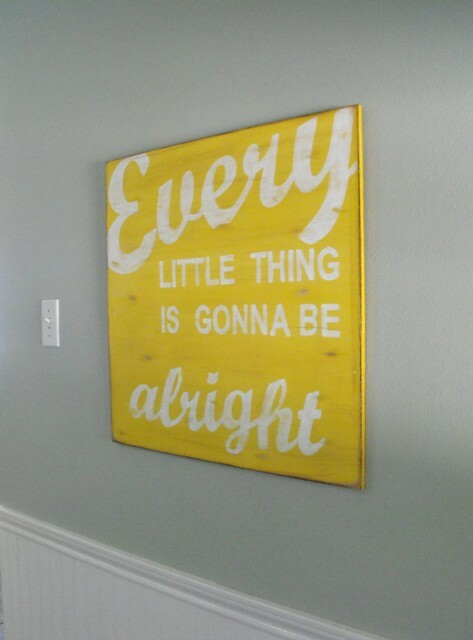 That's what ran through my head as I spotted this post over at Apartment therapy. This precious nursery belongs to a sweetie named Holden. 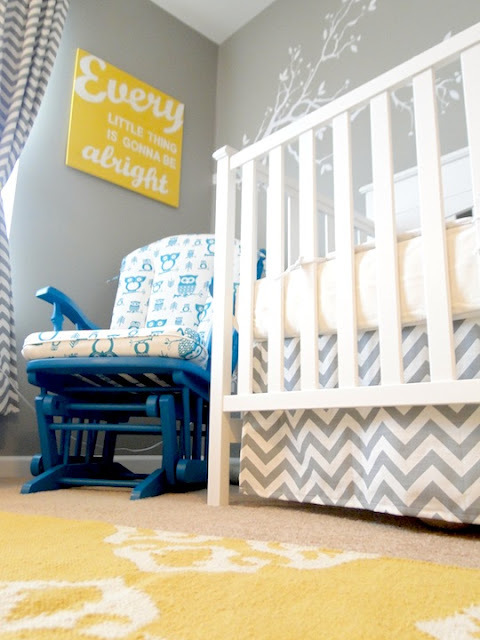 Her nursery made the tour and I can see why. 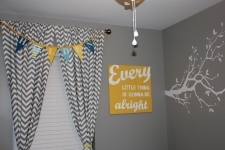 Her Mom, Meg has a knack for decorating. but that didn't stop her Mom and Dad from creating a masterpiece. 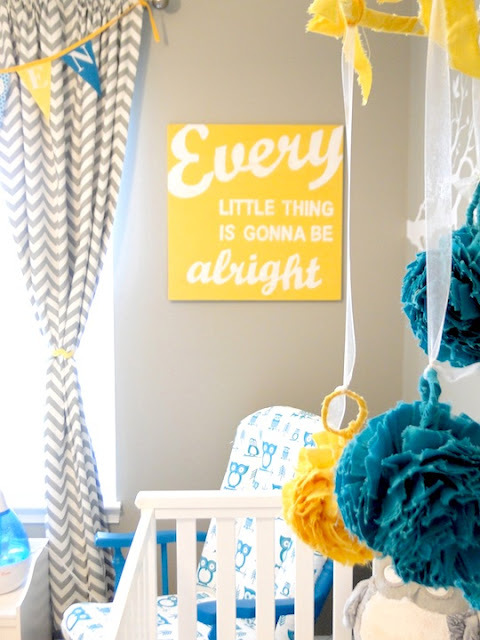 She filled this room with handmade items and that alone makes my heart smile! Holden's parents where married in Jamica and have a love for Reggae. So it was a joy to paint this sign for her. Meg's inspiration came from a stuffed owl and it grew from there. What a blessing it is to do what I love and love what I do. 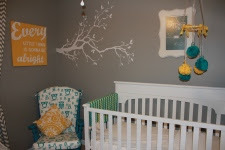 Thank you Meg for sharing Holden's sweet room with all of us. And thank you for supporting "handmade". Want to know more about the sign? What a cute nursery and great sign, especially since they love reggae...and when baby cries "she" can read it! 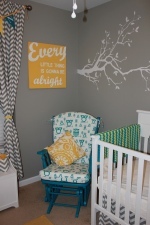 Love this nursery and your sign just makes it "alright" for sue! How neat to see something you made show up somewhere. 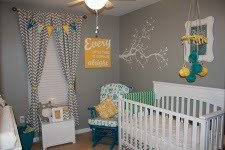 Love the nursery. What a lucky baby. Thanks, Susie! I was so psyched to have Holdy's room on Apartment Therapy :) She loves the sign already - she always stares at it when I burp her over my shoulder, haha! Awesome! Way to go Susie! It really makes the room.